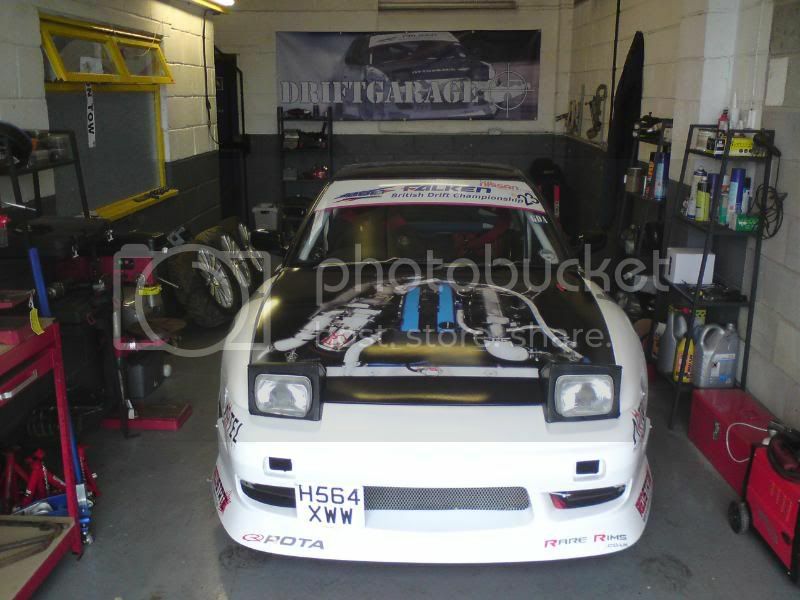 Welcome to Driftgarage, Nissan 200SX specialist in the Midlands. 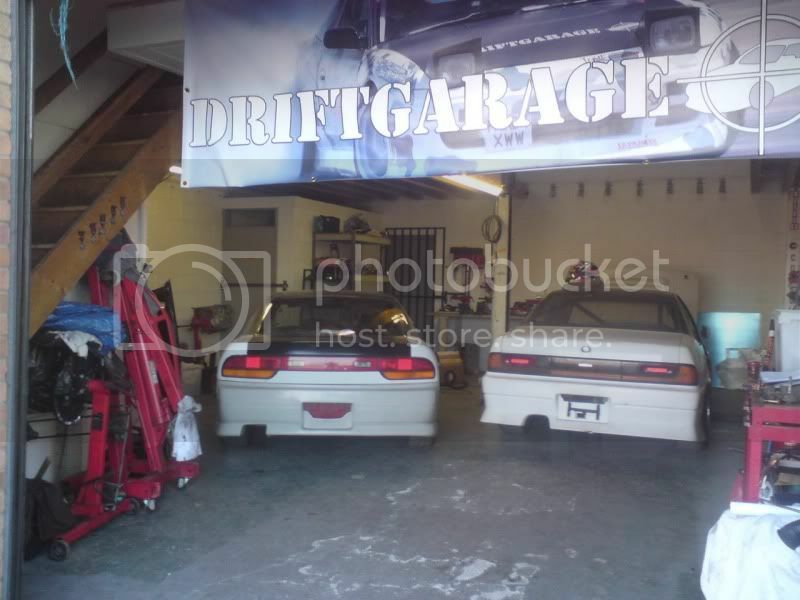 Driftgarage was the name of our drift team many moons ago when I was in the forces and this was just a hobby, so shortly after leaving I opened up for business in the current unit and continued with the name. I am a fully trained and qualified time served mechanic and my passion for the rear wheel drive Nissans was born when I bought my first S13 in 1996 and I haven't been without one in some form since, having owned a range of the marque from the S12 through to S15, along with Skylines and a few oddities, noticeably the V8 Cima, a couple of Cefiros and the recent unearthing of an S13 convertible. The aim is to offer a professional service in all aspects of maintenance and repair to your Nissan. A change of trading name was considered as there are a few on here that dislike all things drifting and thought it may give a bad impression, but then it was decided to leave things as they are and hide nothing because many people know me anyway as I've been a paid up SXOC member for over 7 years. 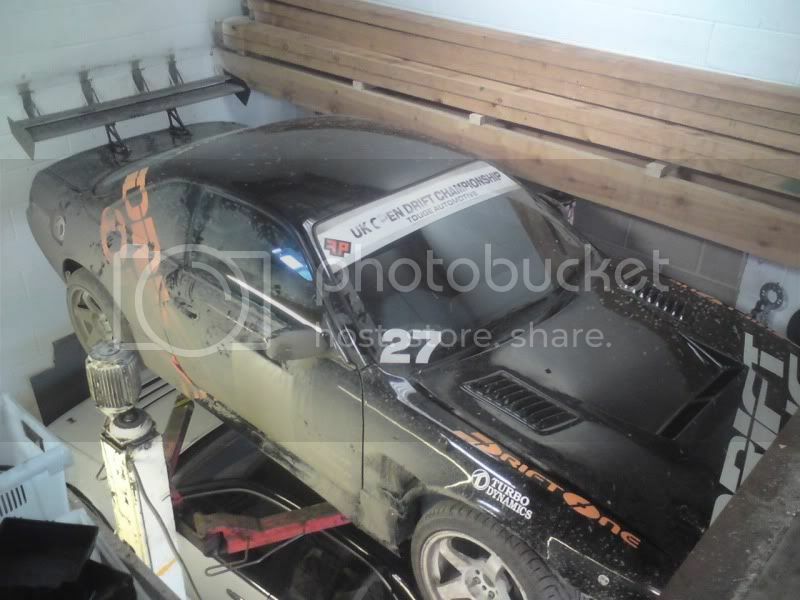 While drift car preparation, stripping cars for track use, suspension work, fitting 2 ways and welding diffs are all carried out, I'm equally at home servicing and carrying out day to day repairs and fitting aftermarket parts to your car. SR20DET conversions into S13's have provided a large percentage of work since officially opening in August 2009, though taking on bigger and smaller tasks are equally welcomed and there is always a selection of used parts in stock and generally a breaker or two on the go. A lot of the day to day work involves transporting cars up and down the country, so if you've been drunken eBaying (we've all been there) and bought a project car and not fully thought through how to get it home, please email for a reasonable quote. 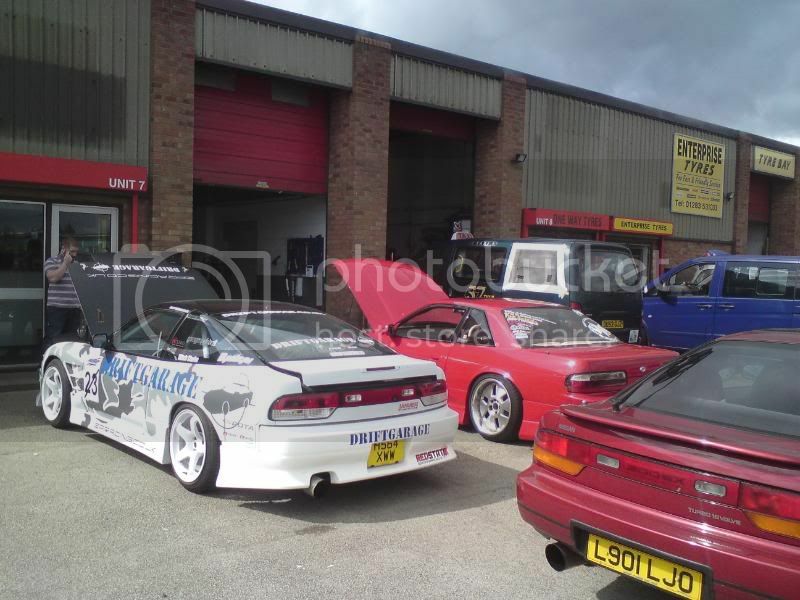 The transporter is fully insured for goods in transit, and low cars are not a problem as the famous Driftworks S15 and R32 and the not as famous but equally low Mitto S14 have proven. There is not a section to post questions in at present, as I am not generally online during the day due to being in or under a car, or out on the road transporting one. Email will get the fastest response as they are now easily checked on the move. brilliant mate, tell me more about the new premises? Matt, the premises is only a couple of doors up but is bigger and with a mezzanine level so I can actually work inside ( ) and have storage upstairs along with the vinyl plotter, which needs a fair bit of room to move to use easily. I'm sure everyone knows you on here , but if you don't Mitch is highly skilled and one of the nicest blokes you'll ever meet. wow, i didnt even see you had your own section. Wish you were closer, you could fix my rust! Hope all goes well fella. looks loads better than the old place mate, im confused tho, wheres the ramp sit in the 1st pic?? It's on the floor where the Cefiro is. The S14 isn't in the Unit in that pic. Thanks for the work last month, will be in touch soon when I have some spare cash!